Jen Kirkman is a stand-up comedian and the author of the book, “I Can Barely Take Care of Myself,” which became an instant New York Times Bestseller when it was released in April 2013. Jen is currently a writer and regular round table guest on Chelsea Lately. She also was one of the stars of the hit-spin-off ‘mockumentary’ show After Lately. Jen is also well known for her role as the narrator in a few episodes of the cult-hit series “Drunk History” which aired on Comedy Central and HBO. Jen has appeared on: The Tonight Show with Jay Leno, @Midnight, Conan, John Oliver’s New York Stand-Up Show, The Late Late Show With Craig Ferguson, and the Cartoon Network’s Home Movies. 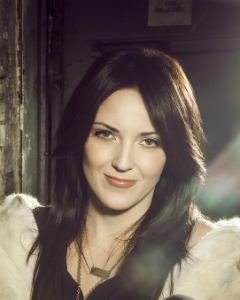 Entertainment Weekly said in 2012, “If you like Louis CK, check out Jen Kirkman’s hyper self-analytical humor.” Jen has a weekly podcast, “I Seem Fun: The Diary of Jen Kirkman”, which is often in the top 100 in comedy on iTunes. Jen tours as a stand-up but is based in Los Angeles. She is currently working on her second book to come out through Simon & Schuster.